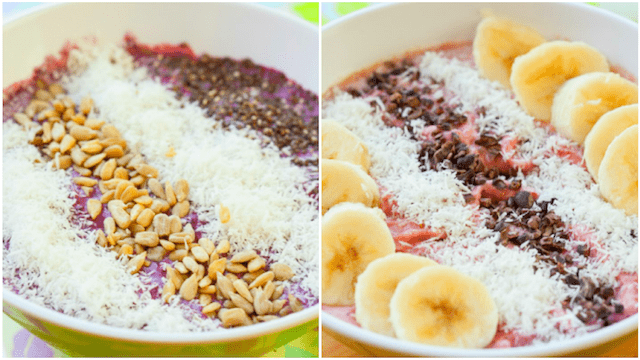 This Blueberry Smoothie Bowl and Strawbery Smoothie Bowl only requires 5 ingredients and manages to be both healthy and delicious. 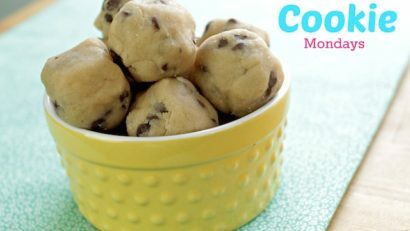 It’s a great breakfast option and only takes 5 minutes to make! Hi guys Lainey here! 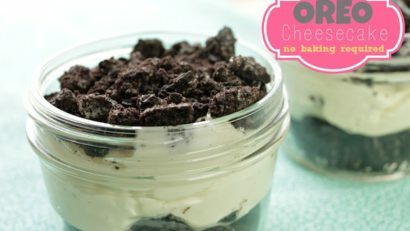 Today I’m sharing with you another NO BAKE, but healthy recipe! 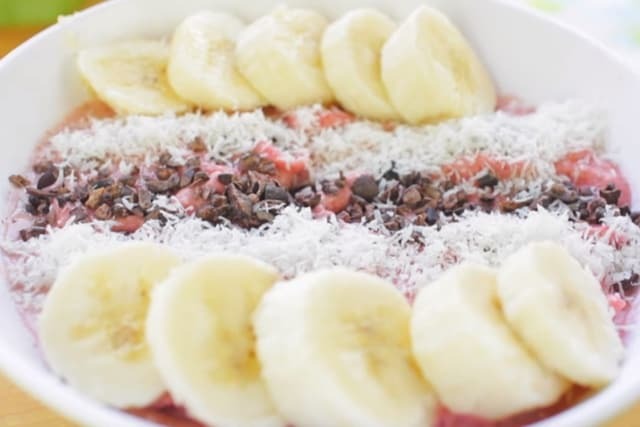 A smoothie Bowl!! Honestly if I can make it, anybody can…it’s that easy! 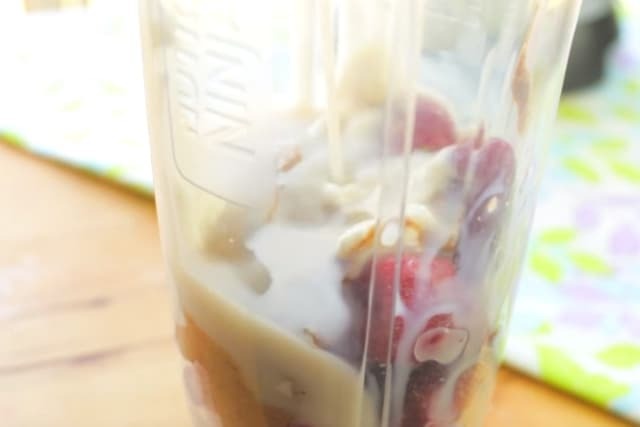 I’m pretty sure everyone has the fruit base which is some kind of frozen fruit, yogurt, milk, and a nut butter!! 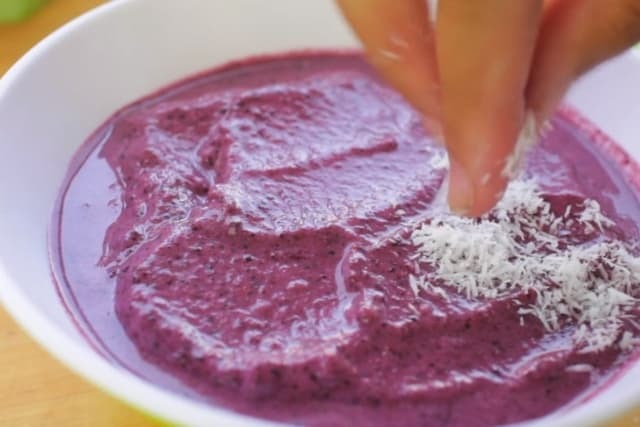 Pop it in the blender and blend till it’s nice and smooth, but make sure it’s not liquidy. 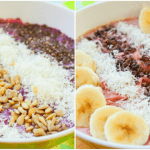 Garnish the smoothie bowls with your choice of nut, fruit or anything and that’s it! This is now my breakfast or dinner meal because it’s so refreshing to eat on hot days! Speaking of hot days, this past week has been in the 100s, ugh. so hot. I cannot wait for winter! 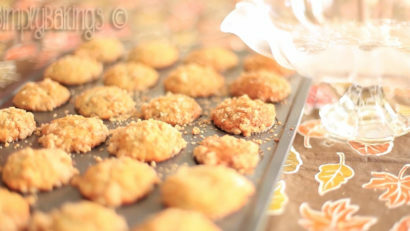 ANYWAYS, thank you guys, I really hope you enjoy this recipe! 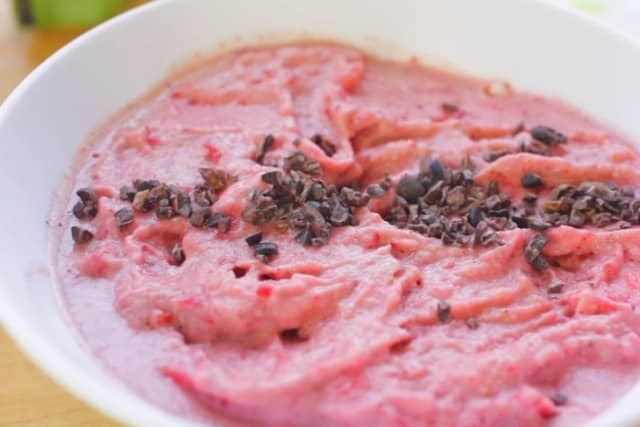 For this strawberry smoothie, I topped it with sliced bananas, desiccated coconut, and cocoa nibs. It tasted so delicious and refreshing! 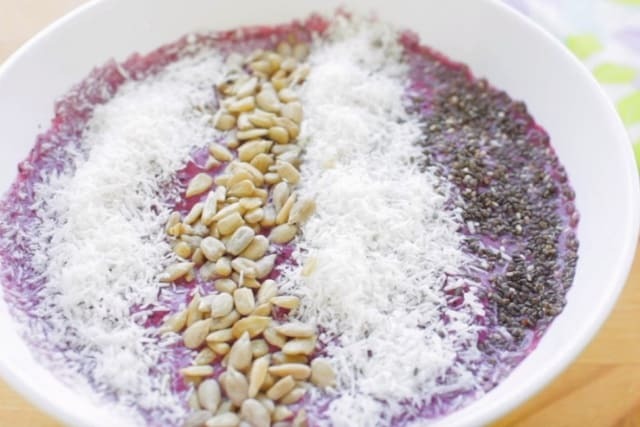 For this blueberry smoothie, I topped it with shredded coconut, chia seeds, and pumpkin seeds. 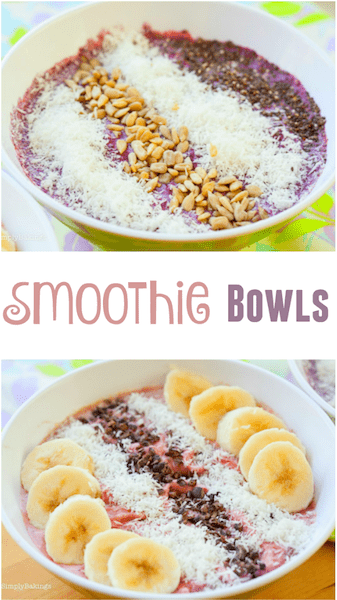 This smoothie bowl is so nutritious and perfect for a pre-workout or post-workout meal! 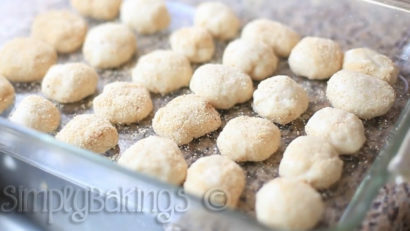 For a step-by-step tutorial of this recipe, you can watch my video tutorial below. 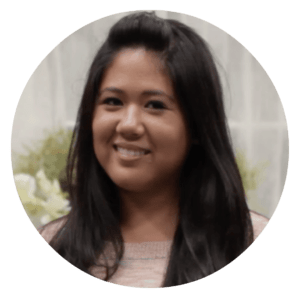 SUBSCRIBE TO MY YOUTUBE CHANNEL to get my latest recipes! If you want to try a different fruit smoothie, I love this 3 Ingredient Mango Smoothie! 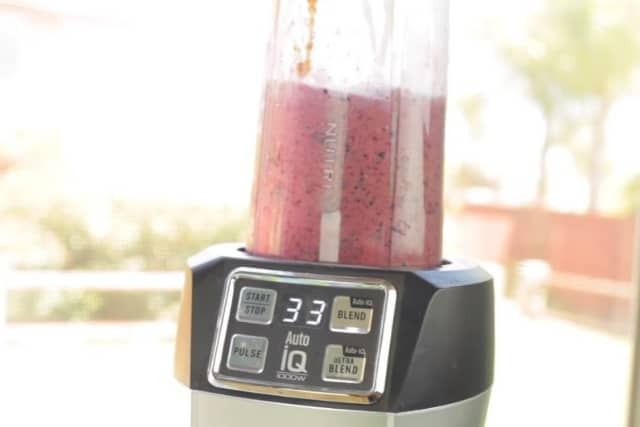 Combine all the ingredients in a blender (per recipe). 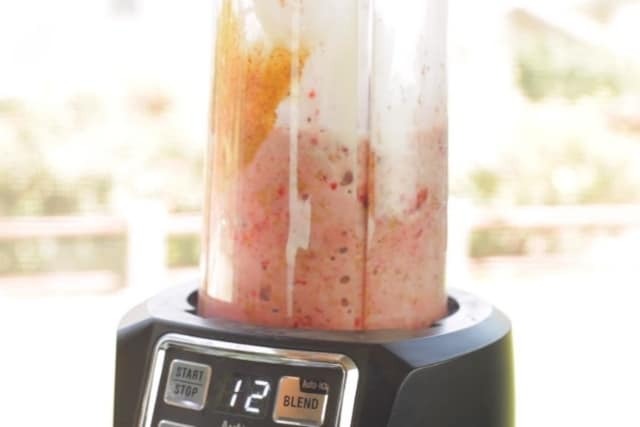 Blend for 2 minutes or until all the ingredients are smooth. 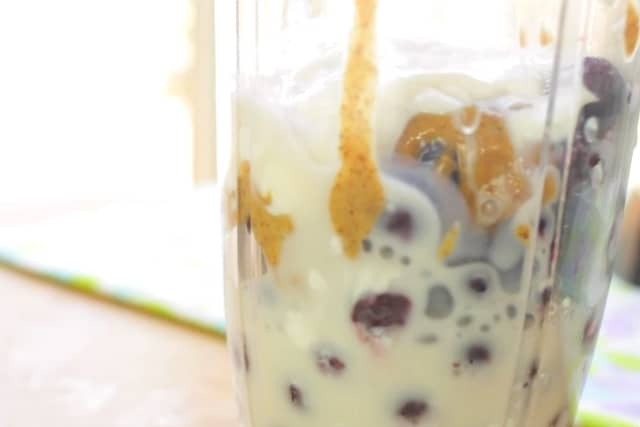 Pour into a bowl and garnish with your favorite toppings. Amazing! This is so yum!